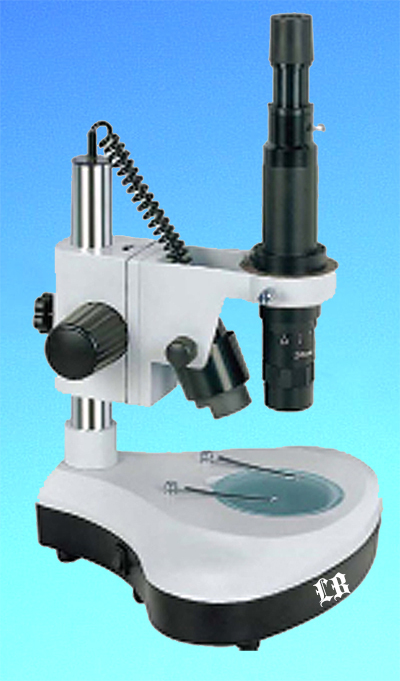 LB-101 Monocular Zoom Microscope is a precise optical system providing high resolution, sharp and strong stereoscopic images. 7×-45× zoom images can be observed by easily operation. It is a very good microscope and can be used in semi-conductor and integrated circuit board inspection and measurement. It is also can be used in educational demonstrations and agriculture research areas. Monocular Zoom Body LB-100 can also be flexibly equipped with a frame to work with a semi-conductor and integrate circuit board production line. With a microscope digital eyepiece LB-131, it turns into a digital microscope. It then can be connected to a PC to analyze the object. Infinite and high quality zoom optical system 1:6.5. LB-101 Monocular Zoom Microscopes are widely used in educational demonstration, agriculture research, semi-conductor and integrated circuit inspection and so on.